Medicare provides crucial support for almost 50 million Americans, most of whom are seniors over the age of 65. It is an important and valuable service, but anyone who has ever had to use it knows that it can be confusing. For the 12 million seniors suffering from diabetes,this can be an ongoing issue, as their condition fluctuates and evolves. In this short guide, we will try to make it easier for you to take full advantage of your Medicare plan to manage your diabetes. The Original Medicare plan covers some costs for people suffering from diabetes. 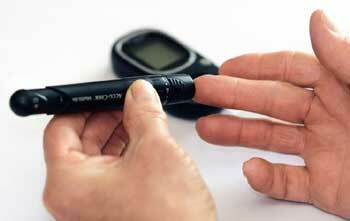 Before you are even diagnosed, Medicare Part B covers testing for diabetes if you have certain risk factors. If you are over 65, you are covered for a diabetes test if you also are overweight, have a family history of diabetes, or have a history of gestational diabetes. Medicare Part B also covers most of the common testing methods. Some of these are classified as DME (durable medical equipment) and are subject to some restrictions, meaning your doctor and the makers of the product need to be Medicare-approved. What Doesn't Original Medicare Cover? Original Medicare rarely covers prescription drugs and insulin therapy for diabetes. Common prescription drugs for the treatment of diabetes include Metformin, Sulfonylureas, and Meglitinides. Insulin therapy is usually used for type 1 diabetes but is becoming an increasingly common option for type 2. If you need prescription medications, you will want to look at a Medicare supplement plan (also known as Medigap). These are provided by private companies and allow you to expand your Medicare coverage to tailor it to your specific needs. Other options include a Medicare Advantage Plan or Medicare Part D.
Which Supplement Plan Should I Choose? Because supplement plans are offered through private insurance companies, there are loads to choose from, making this process even more confusing. Make sure you do your research by looking up plans online and finding reviews and recommendations for people like you. Consumers Advocate, for example, is a great resource for this, providing reliable reviews for Medicare supplement plans across the country. Just input your postcode and they will give you the top-rated options in your area, as well as a comprehensive review of each one. If the main thing you need is prescription drug coverage for your diabetes, you may want to look into Medicare Part D, which is the prescription drug program you can add to your Original Medicare. This can be a cheaper option than a full supplement plan. The official Medicare website is the best place for information on this. Many Medicare Advantage Plans also offer drug prescriptions and could be the better option for some diabetes sufferers. The difference is that a Medicare Advantage Plan is something you get instead of Original Medicare, while both Part D and Medigap are things you add to it. The decision usually comes down to price, with Medicare Advantage being (but not always) cheaper. When Can I Make These Changes? If you are still unsure about how Medicare can help you with your diabetes treatment, don't hesitate to get in touch with Medicare directly. They will be able to answer any questions you have and point you in the right direction. You don't have to bear the burden of your diabetes treatment by yourself, and you especially don't have to settle for a plan that doesn't serve you.